Excited for the prospect of adding a home theatre to your house? Home theatre installation is a big job – it’s not as simple as mounting a TV and calling it a day! If you want to receive the full cinema experience from the comfort of your own home, you’ll need to think long and hard about your home cinema plan. Planning for a home cinema of your very own? If you don’t know where to start with your research, Briggs Electrical is here to help! While we may be humble electricians, we’ve performed home theatre installation all over Melbourne. As such, we’ve seen a couple of questions pop up consistently… as well as some rather creative solutions! Installing a home theatre entails careful planning, budgeting,and implementation. This goes beyond choosing the widest screen or most powerful speakers. Your home theatre is more than just the sum of its parts. As such, it requires careful planning to ensure you receive the best possible outcome. Your budget – how much are you willing to spend? Your goals – how big do you want your home theatre to be? You can’t just convert any old vacant room in your home into a home theatre! Simply put, some rooms just aren’t made for it – perhaps there’s too much ambient light. This can prove extremely distracting and can ruin your immersion. In other cases, a room might take far too much work to convert into a home theatre. For example, if your target room doesn’t have enough powerpoints, you’ll need to think about rewiring or getting new sockets installed – a slight problem if you’re trying to work with a smaller budget! Wiring – does it need additional wiring work? It’s also important to consider your home theatre’s proximity to the neighbours. Movies can be loud, especially if you shell out for a powerful speaker system. Be a good neighbour – could you avoid using a room that is close to nearby houses or has thin walls? Alternatively, you may need to invest in sound-proofing such as acoustic foam or double-glazed windows. Sure, film might be a visual medium. But it’s not the only important consideration – sound matters too! 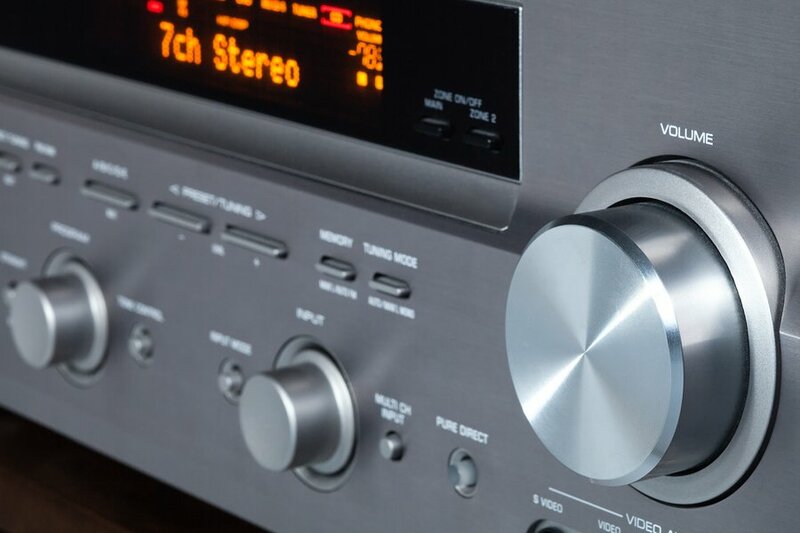 A good audio system complements and enhances a great home theatre experience! In addition to speaker quality, speaker placement is another big factor to consider. Some speakers are designed to be placed behind you, while others should be put directly in front and so on. This is one of the reasons why larger rooms are preferable to get that real theatre feel and ambiance! And if you don’t have space to let your speakers stand freely, you may want to think about getting them mounted in your walls or buying speakers that sit flush within your walls or ceiling. Needless to say, this type of work can take a considerable amount of fresh wiring. Call an experienced electrician like Briggs Electrical for a quote on what rewiring work is required, and how much it will cost. What type of screen is best for your home theatre? Projector versus TV: it’s a question that hounds many homeowners when they’re planning their home theatre. Each has their own unique advantages and disadvantages in terms of picture quality and price. As electricians, we can’t really comment on any of these factors. If you’re weighing up between the two, click here for advice from someone who knows their stuff! What we are qualified to speak on, however, is the installation process. Depending on your set-up, both projectors and TVs will both require extensive wiring. If your TV is wall-mounted, all the wiring and cables will need to run in your crawl space. This minimises distraction and reduces visual clutter, allowing you to focus on the movie. Projectors are a bit different. If all you’re doing is setting up the projector on a coffee table, you can get by without new electrical work. However, it you’re going all-out and suspending your projector from the ceiling, you’ll have to run wires through your ceiling cavity. And we haven’t gotten started on wiring your projector screen either! (Don’t) let there be light! The viewing experience in your home theatre is greatly affected by lighting. If you’re committed to the complete cinema experience, you may want to think about getting variable lights installed. These let you control the level of brightness, allowing you to dim the lights as you see fit. If your plan requires new lighting, talk to an electrician for a quote. Your electrician will help you achieve the best lighting for your home theatre by helping to select suitable options and safely installing them. Lighting doesn’t just mean your ceiling lights, however! It’s also crucial that you look at ambient light. Sunlight (either from windows or the corridor leading in) can interfere with your picture. Even if they don’t directly touch your screen, the glare can reduce visibility. And if you’re up to a major plot twist, this can rip you right out of the experience! If light is a problem, you may need to invest in new curtains for your home theatre. While not as glamorous as the screen and speakers, it’s just as important. You’ve selected a screen or projector, have chosen a set of powerful speakers, and accounted for natural light. Now it’s time for the final step: installing them! Many home theatre installations require a lot of fresh wiring to be installed. In many cases, this wiring runs through your walls and in your ceiling cavity. We don’t recommend doing DIY. Electricity is dangerous, period. If laying new wiring is part of your home theatre installation, you need a professional on your side. We cannot stress this enough! Finding the right and professional electrician helps you solve potential complications with wiring, cables, video and speaker installation. Most importantly, they’ll do the job safely and to a high standard, keeping you, your family, and your home safe. 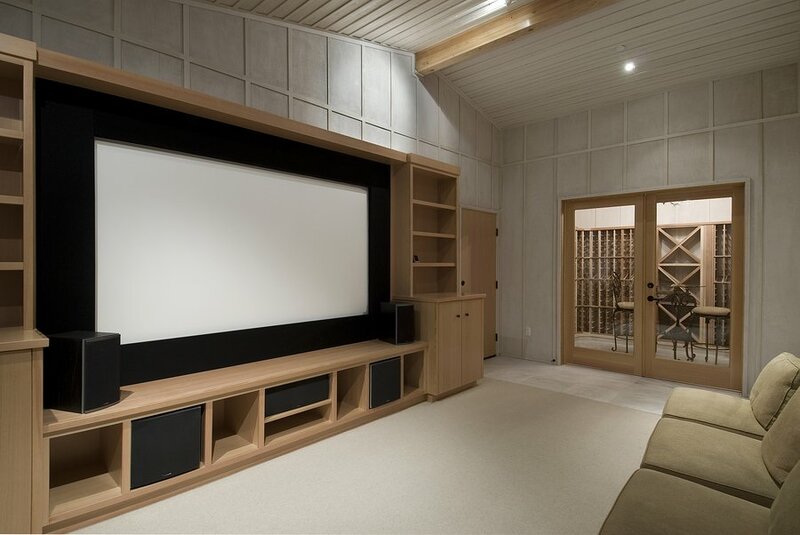 Turn your home theatre dream into reality with Briggs Electrical! Need an expert for your upcoming home theatre installation? Get in touch with Briggs Electrical! In addition to taking care of cables, wires, and power sources for you, our certified electricians also help design your home theatre. We’ll look at your plan and outline how much new wiring and cabling requirements will need to be laid down. All this helps you keep your home theatre installation on-budget and delivered on-time! Contact Briggs on 1300 300 222 to get started on your home theatre dream today!